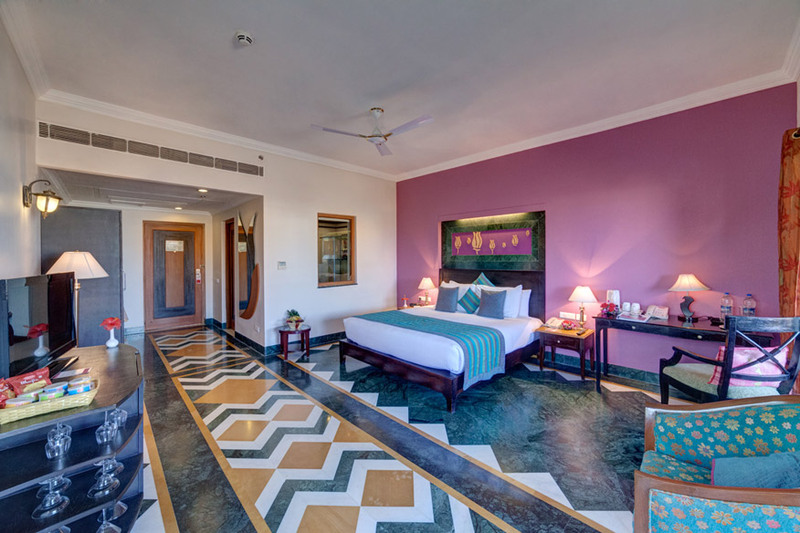 Overlooking the majestic Aravalli Hills, the Super Deluxe Room is inspired by the Lotus flower and runs along the upper veranda of the resort. Apart from exquisite room furnishings and amenities, these 485 sq. ft. rooms also offer a private sit out. You can also choose between a Twin and a King sized bed to suit your personal requirements. Elegantly designed, these spacious rooms offer a seating area, wardrobe, digitally secure safe, work desk and well stocked mini-bar.